Pirtek Enduro Cup debutants Will Brown and Earl Bamber have finished first and second in Practice 3 for the Rabble.Club Sandown 500. 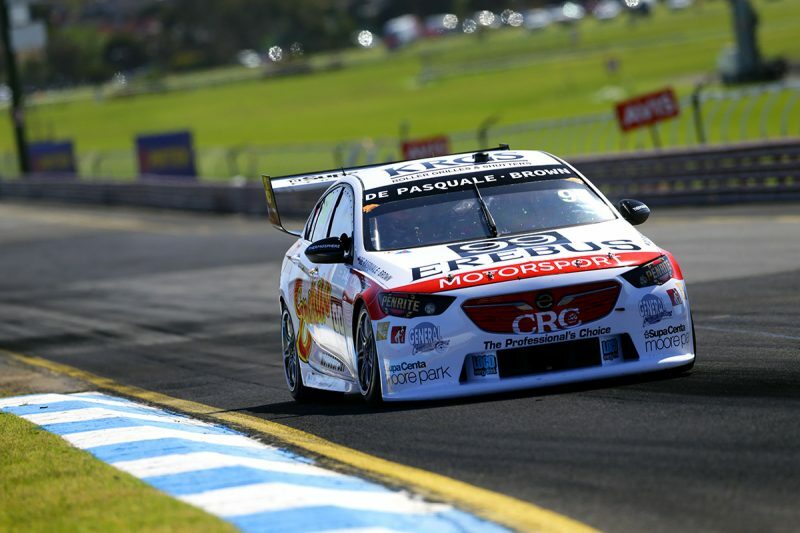 In a 30-minute session which ended with the top five cars within a tenth of a second, Erebus Motorsport’s Brown (#99 ZB Commodore) pipped Triple Eight’s Bamber (#97 ZB Commodore) by 0.0032s with a 1:08.6230s. They were followed by three far more experienced names in Steven Richards (#888 Autobarn ZB Commodore), and Mobil 1 Boost Mobile Racing team-mates Jack Perkins (#25 ZB Commodore) and Warren Luff (#2 ZB Commodore). Brown was near the pace early on in Anton De Pasquale’s Graeme Bailey Celica tribute before being shuffled back to as low as 19th, from which he sprung all the way to the top in the final five minutes. The 2017 Mike Kable Young Gun Award winner ran through the gravel at Dandenong Road shortly after but was not usurped at the top. “(I’m) Excited, we ended up P1 in that one and just can’t thank these guys at Erebus enough,” said Brown. “To just give me the opportunity, my first enduro and to end the day like this… it’s Anton’s birthday, so happy birthday to him. “I was going for another lap, down into Dandenong Road, went off and almost got a stuck and caused a red flag,” he recalled of his late error. Like Brown, Bamber found a little under two tenths of a second relative to his Practice 1 best in Shane van Gisbergen’s Red Bull HRT entry to place second. Richards was marginally faster than in the morning’s co-driver session on his way to third, having briefly held first position before Bamber’s and Brown’s fast laps. Paul Dumbrell piloted Jamie Whincup’s #1 Triple Eight ZB Commodore to sixth, 0.1322s slower than Brown, but still owns the fastest time of the day having broken the practice record in the opening session. Ash Walsh (#14 Freightliner ZB Commodore) made for an all-Holden top seven while Alex Rullo was the first Nissan in eighth in Simona de Silvestro’s #78 Harvey Norman Altima. The #55 Supercheap Auto FGX Falcon was back on track after Chaz Mostert’s crash in Practice 2 and James Moffat put it ninth on the timesheets in Practice 3. “It’s only Friday, and the weather looks like it will be good for ducks tomorrow, so probably not relevant in many ways,” quipped Moffat. “It’s a good start for us, we just wanted to get through that session nice and clean. Tony D’Alberto was 10th in Fabian Coulthard’s #12 Shell V-Power FGX Falcon while Alexandre Premat was back in 23rd in Scott McLaughlin’s sister #17 entry. While Luke Youlden, Jonathon Webb, and Jason Bright all had off-track excursions, the session ran uninterrupted just as the first two did. On combined times for the day, Dumbrell is fastest from van Gisbergen (Practice 2), James Courtney (Practice 2), Garth Tander (#33 Wilson Security ZB Commodore, Practice 2), and Dean Fiore (#23 Industrial Athlete Nissan Altima, Practice 1). A fourth, 15-minute practice session is scheduled for tomorrow at 1010 local time /AEST.